Within the Tech-Thirty – comprised of 30 leading technology markets in the U.S. and Canada – high-tech software/services job creation overwhelmingly outperformed the national average. 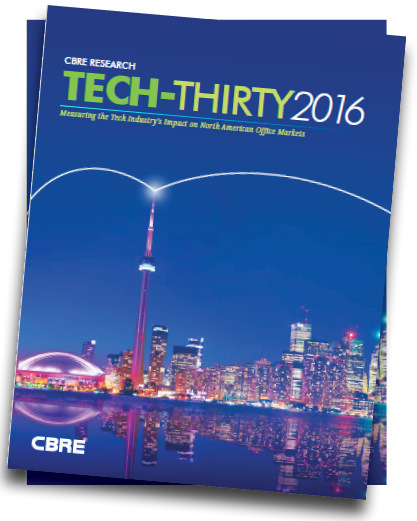 The Tech-Thirty is a comprehensive analysis of office markets in the U.S. and Canada that are influenced by the high-tech industry. The 30 markets were ranked according to high-tech industry job growth and analyzed to determine how the industry influences office market fundamentals. How well is the TECH INDUSTRY performing? What is the TOP-RANKED tech city? What are the MOMENTUM markets for the high-tech industry? How are tech OFFICE markets performing? Where is the best VALUE among tech markets?